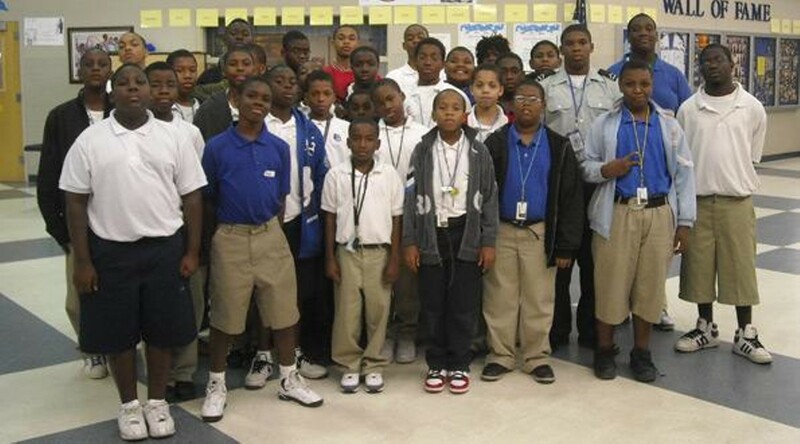 The young men in DeRenne Middle School's A.S.P.I.R.E. program take a step toward manhood. 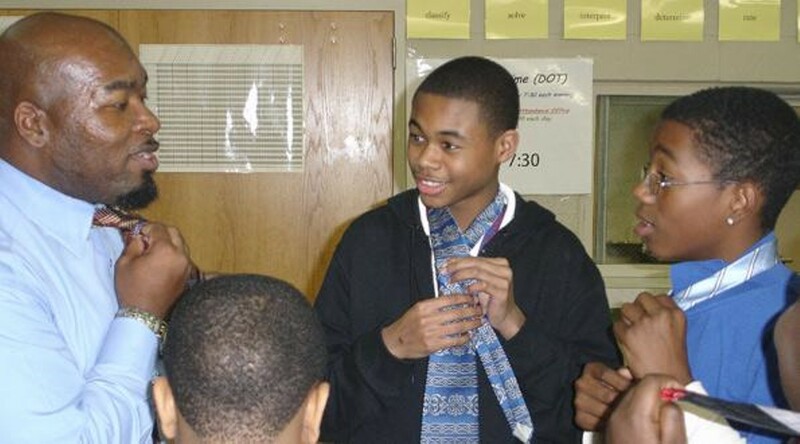 Last week, 25 students at DeRenne Middle School took an important step toward growing up — learning how to tie a tie. The young men are all participants in A.S.P.I.R.E., an after school program started by Jimmie Cave, a science teacher at the school. A.S.P.I.R.E. stands for achievement, service, professionalism, initiative, responsibility and education — the values Cave would like to impart upon them as they move forward in their lives. At the start of each class, participants take turns standing up, reciting the group’s creed, the meaning of each letter and how it will impact their actions and decisions. “I’ll go higher when I aspire,” each student says at the end of the creed. “You say it, now live it,” Cave tells them before leading the group into a discussion about what it means to be a man — a topic that leads them from accepting responsibility for their actions to the importance of keeping their word — setting the stage for the tie tying ritual that will follow. 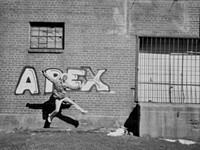 Helping transform the lives of young people was Cave’s inspiration for starting the A.S.P.I.R.E. program four years ago, while teaching at Tompkins Middle School. He brought the program with him to DeRenne Middle School when he transferred there to teach science, and has been running it ever since. The group meets after school twice a month, on the first and third Wednesdays. Cave has planned out a year’s worth of events for the young men including a mix of group discussions, field trips and presentations from special guests dealing with practical lessons in financial planning, college admissions and more. Recently, A.S.P.I.R.E. has also grown a successful community service component, and in the past few months, the group held a canned food drive benefitting the Second Harvest Food Bank and helped raise over $1,500 for the Make–A–Wish Foundation. Last Wednesday’s event was a rite of passage for the young men, one that Cave hopes will put them on the path to success in life. The 25 students, who all are in 6th–8th grade, line up in the atrium that is the hub at the center of DeRenne Middle School, and one by one, they proceed to a table covered in ties and each selects one before returning to his place in the line. Once the young men complete the oath, they break down into groups of five or six, each lead by a teacher or volunteer who shows them how to tie their ties. “Take the longer end and wrap it around once,” Cave demonstrates as he begins to show them the process behind a Windsor knot. Around the room, young faces contort with confusion as they follow patiently. Then one by one begin to light up with the pride of accomplishment as they pull the knot tight. In turn, students wander over to the trophy case to admire their reflection. “I look professional,” one says with a nod. “I look good,” another smiles, before re–joining his group. This won’t be the last time they get to practice their new skill. Before sending everyone home, Cave announces that the third Wednesday of each month will be A.S.P.I.R.E. tie day from now on, and each student will be expected to arrive at school proudly wearing their ties.